After an 11-year absence from our TV screens, none other than notorious party boy Corey Worthington is set to show his aerobic skills on season two of Nine’s Australian Ninja Warrior. For those readers whose memories can remember back a decade ago, Worthington shot to international fame after the then 18-year-old held a party at his parent’s house that attracted 500 gatecrashers and ultimately had to be broken up by the police, a police helicopter and a critical incident unit. Worthington was subsequently interviewed on (coincidentally) Nine’s ACA where he famously showed no regret for destroying his parent’s house and neighbours’ cars and then invited viewers to use him as their own personal party planner. 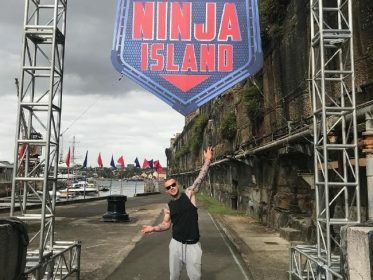 But the now married 27-year-old is set to show he’s a reformed family man and compete on the upcoming series of Australian Ninja set to launch on 8 July. According to reports on News.com.au, Worthington applied for Ninja and got through the gruelling qualifying. However, Fordham was coy on Worthington’s success on the course. “I don’t want to give too much away but I can guarantee he goes all right,” Fordham said.